Here at SAMCO Technologies, we understand that proper, economical industrial water treatment is essential to the efficiency and overall success of your everyday process. Improper treatment can lead to system upset, valuable process water going down the drain, and costly violations of local POTW (publicly owned treatment works) and environmental regulations, to name a few. Aquatech is a water purification technology company that focuses on desalination, water recycle/reuse, and zero liquid discharge for an assortment of industries worldwide. With 35 years in business, the company is also a good source for spare parts supplies, technical audits, and leased water treatment systems. With an assortment of solutions such as thermal technologies, ion exchange, and membrane filtration, Aquatech’s water treatment systems cover a variety of industrial water treatment needs. One of their most effective technologies, High-Efficiency Reverse Osmosis (HERO™), can help a facility control silica levels, making difficult-to-treat wastewater more manageable. This technology along with evaporation technologies, is also used for achieving zero liquid discharge. Calgon Carbon (who recently announced they will be acquired by Kuraray Co., Ltd.) has nearly 75 years in the activated carbon and reactivation industry for many liquid- and vapor-phase applications. They also offer services in ultraviolet disinfection and oxidation, ion exchange technology, and ballast water treatment, and they provide purifications systems for drinking water and wastewater, etc. Calgon manufactures both granular and powder activated carbon. They offer carbon technologies for several industries including drinking water, food and beverage, and pharmaceuticals. They have various media, fixed-bed, and continuous systems for a variety of applications and industries. Their ISEP®/CSEP® systems and CALRES® media can help industrial facilities purify their process streams while helping them recover valuable materials. Dow offers various filtration devices for the removal of suspended solids, bacteria, and other particulates. Some of their RO/NF filtration systems can be used to treat brackish water in addition to drinking water and desalination applications. Their FILMTEC RO membranes are one of the premier products on the market. Dow also provides a broad range of technology-based products and solutions, such as ion exchange resins and reverse osmosis membranes, across several industries, including their ADVANCED AMBERPACK™ and Upcore™, pre-engineered ion exchange systems designed to yield high-quality water while minimizing waste. Each process train can produce up to 260 GPM of treated water that typically doesn’t require further polishing. Dow ion exchange resins are some of the most advanced technological solutions to removing contaminants. 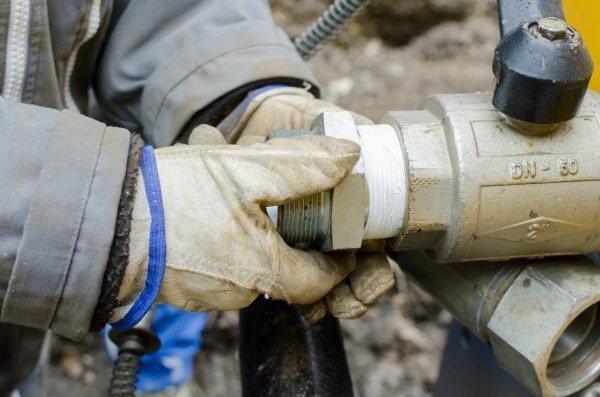 A global water treatment company that serves municipal and industrial companies, Evoqua Water Technologies aims to help companies meet water quality regulations and environmental compliance while increasing their water usage efficiency. Evoqua Water Technologies has innovative, integrated products that are valuable in the industrial water treatment process, including chemicals, RO/NF membranes, clarifiers, conventional gravity filters, evaporation technologies, and an assortment of posttreatment solutions. Evoqua’s MF/UF membrane systems include a tubular crossflow system that removes colloids and improves salt density index, and pressurized/submerged membrane technology for potable water generation, wastewater treatment, and desalination, among other applications. Their Memtek microfiltration systems are especially useful for removing heavy metals. Formerly GE Water & Process Technologies, SUEZ uses advanced technologies to solve water scarcity, quality, and productivity challenges. They also solve water-related issues for the environment and energy industry and serve industrial and municipal companies alike. SUEZ has a series of innovative, integrated products that are valuable in the industrial water treatment process, including chemicals, UF membranes, clarifiers, conventional gravity filters, evaporation, and an assortment of posttreatment technologies. They also offer a variety of RO/NF membrane systems for desalination, food and beverage processing, salt density index improvement, and drinking water treatment, in addition to solutions for the oil and gas industry. They also offer technical papers and other information on membrane maintenance and upkeep. Lenntech has an assortment of solutions for industrial water treatment, including MF/UF membrane systems that are custom designed and built to spec. The ultrafiltration systems are made with hollow-fiber, outside-in membranes suitable for filtering out suspended solids, colloidal contaminants, and micro-organisms. Lenntech also has an assortment of solutions and technologies that help promote continuous heat exchange, reduce corrosion, and help boilers produce high-quality steam by treating the feed water to the boiler both internally and externally. Softening, evaporation, deaeration, and membrane filtration are all methods used by the company to facilitate the right makeup water chemistry for the boiler being used. In 1928, Nalco was formed with the merger of two Chicago-based companies selling sodium aluminate to treat water for steam locomotives, municipalities, and boiler feed water for industrial plants. Adapting their approach and technologies over the years to respond to changing market needs, Nalco now provides water treatment solutions in the power, oil and gas, and food and beverage industries, among others. Nalco offers various technologies and chemicals that help with heavy metals removal, foam control, dewatering, and water reuse, among others. Some of these technologies include coagulants, polymers, and physical/chemical separation. Nalco also offers a 3D TRASAR cooling tower water treatment program utilizes an automated, real-time monitoring system to help keep track of your cooling tower. The technology helps control and monitor corrosion, scaling, and biological fouling before they become an issue in the cooling tower by recognizing and flagging any changing conditions. In addition to the monitoring system, they also offer other treatment technologies and solutions for cooling tower water, including a full line of chemical treatment and equipment supplies through various partners. Pall Corporation offers their customers filtration, separation, and purification solutions for a broad spectrum of industries, including microelectronics, aerospace, fuels, petrochemical, chemical, automotive, and power generation. The company’s headquarters are in Port Washington, New York, but they have offices and plants worldwide. Known for their filtration technologies, Pall Corporation offers a variety of ceramic and hollow-fiber UF/MF membrane systems, including their Pall Aria series that is especially useful for filtering drinking water. Many of their filtration systems use clean-in-place technology and can handle varied turbidity, flow, and contamination. Veolia offers a range of technologies, including reverse osmosis, demineralization, ion exchange, pretreatment, and filtration, among others. Their Hydrex™ 1000 series of additive chemicals include scale inhibitors, dispersants, oxygen scavengers, and steam line treatments, and they serve a variety of industries. The company helps design and build integrated small- and large-scale systems with technologies that can be beneficial to the industrial water treatment process. Westech provides a complete line of physical/chemical and biological systems. They’ve been building clarifiers for years (dissolved air flotation clarifiers and thickeners, conventional clarifiers, and conventional gravity thickeners, among others). 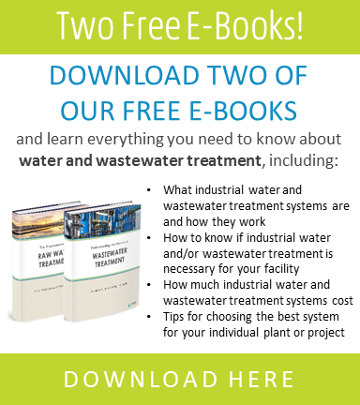 Now that you know the top companies for industrial water treatment, doing your research about the products and services out there for your plant should be a little less tedious. To learn more about SAMCO’s cutting-edge industrial water treatment technologies and services, contact us to speak with an engineer about your water treatment needs.